Fine hairs are week and sensitive and normally take more time to dry properly. These can be easily damaged easily by using dryer again and again. So there is need of such dryer which will not damage the hairs, one more problem of time delay. Thin hair took long to get dry up so if you want to save your time you have to choose hair dryer that will not only save your time but also avoide hair damage. I am the person with same hair type, I have extremely fine hairs so my hair needs too much care and attention, few months ago I bought a dryer and start using that, in start it was working good but gradually with the time I felt some technical problem in that it became so irregular in temperature, I mean to say it lost temperature control. It started damaging my hairs and took so much time to dry up my hairs. I was so much stressed and panic about that. After some days I discussed this with my bestie and she suggested me Aliza hair dryer and really it works. Now I am totally satisfied with its working. I am using this for 5 months and it is working as same as the day first when I bought that. All girls with thin hairs should go for Aliza hair dryer, one feature of this dryer is ceramic heating that offer heat spreading system. And if you think about its heating time it’s amazing it has good wattage i.e. the range which is suitable for fine hairs are 600-2200. If you want to get volume you can achieve it by its ionic technology. As suitable dryer to fine hairs must have cool shot button that can allow cool air to penetrate your hairs and can avoide hair damage. It’s definite that you would want your hair style to last whole day through so Aliza would be your choice. Styling of hairs is usually a lengthy process but Aliza hair dryer is a quick tool for drying your hairs and it will save your times. Time saving is a distinct feature for you all to avail. Its features includes dual speed control you can adjust it on both sides cool and hot, it has 3 temperature ranges, a smart temperature controller and cool shot option that holds volume and shine for a long time. It is designed with ionic technology which helps eliminate frizz and take away all fuss from your hairs. It comes with handy quick dry nozzle and afro comb attachments. With Aliza hair dryer 4000 ionic you can get effortlessly smooth, shiny and fine look. It dries up your hairs with ionic technology that produce negative ions and give your hairs with healthier look. It is an amazing option for you all and you could easily get what you want in daily routine. 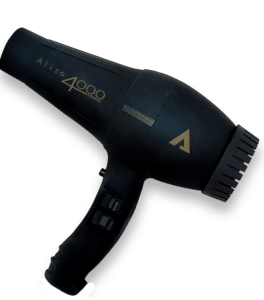 Healthy shinny and silkier hairs are demand of these days, so when you go to party or for hangs out you just want straight and shinny hairs that you could easily get through Aliza hair dryer. It’s a unique option for your fine hairs. It is so easy to handle, due to its handy strand and weightless nozzle and afro comb attachment. You could easily handle it and keep it in hands for long time of styling. We all are so lucky to have this option. It is so smart in looks so it increase the beauty and décor of your wardrobe. It really gives you a professional look. It truly care for your hairs even if they are thin and not easy to control. But that not an end, it is totally packed with all things that you need to create frizz free and parlour look. It not only allows you to dry your locks but also straight them perfectly like an iron. It is available on very reasonable rate so it’s a money saver as well. It is available within your budget. So never get stressed and buy it on cheap rates. It saves your money for buying straightener. It’s a best hair styling tool for your fine and long hairs. It is designed according to your needs and pocket. It’s a best option for you to avail. Another attracting thing about this is to get wavy and curly hairs without use of any additional curling tools or curlers. You can get curls in your hairs by using this professional ionic hair dryer of Aliza beauty. I and my friend have experienced this dryer and according to me it results to 80% of reduction in frizz and round about 90% in gain of volume in your hairs. It has been featured in many magazines in UK, it has been considered as top choices for professional saloons, stylist and all around the world. It’s number one choice for many leading hair stylist in UK. Its unique features make it a fabulous option to use it on all hair types. The low setting is so gentle enough too, that fine and silky hairs does not fly here and there, it gives heat blow to your hairs with incredible heat but without breaking your hairs strand. You feel confident in your moves and you could rock your party or any other event. 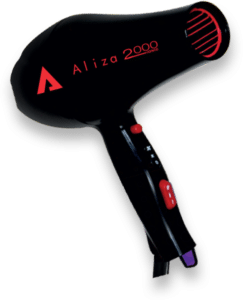 Aliza beauty hair dryer is one of the best dryer for fine hair like me and yours as it is created by keeping in mind your hair texture i.e. fine hairs. It uses ionic and ceramic technology for your fine hairs. You could enjoy frizz free and more easily manageable hairs with Aliza hair dryer, while it also gives you straight hairs and strong volume to bring you more gorgeous look. It has a removable filter that could be easily removed and you could easily clean it regularly to make it clean and in good condition. It is very light weight dryer you could easily handle it in hands for a long time without causing any strain in your wrist. It’s an amazing option for you all to avail for your thin hairs. It cares for your fine hairs. Make it your first choice.